I was never a fussy eater. I just love all the vegetables and eggplant or the aubergine was, and still is, one of my favorite vegetables. 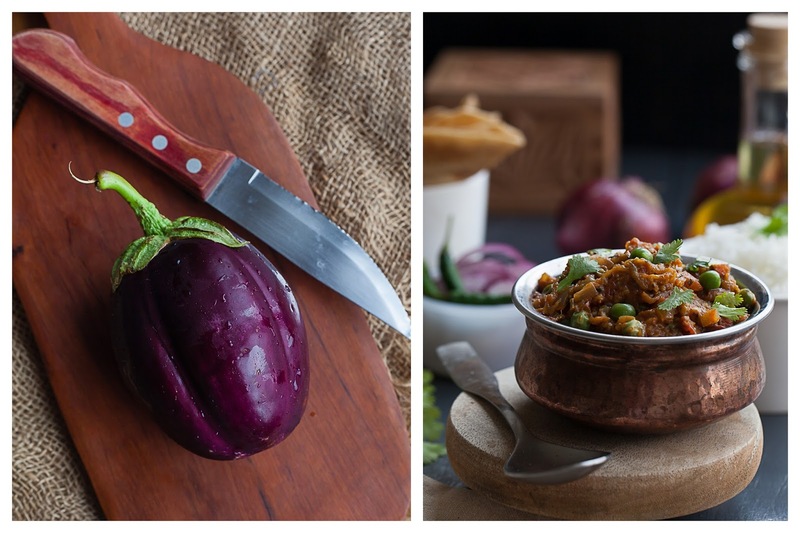 I loved aubergine in all forms but when it came to baingan ka bharta was something I couldn't bring myself to like. I couldn't understand how someone could love a fish mash that had burnt flavor in it. But dislike for this earthy curry changed to pure love a few years back. 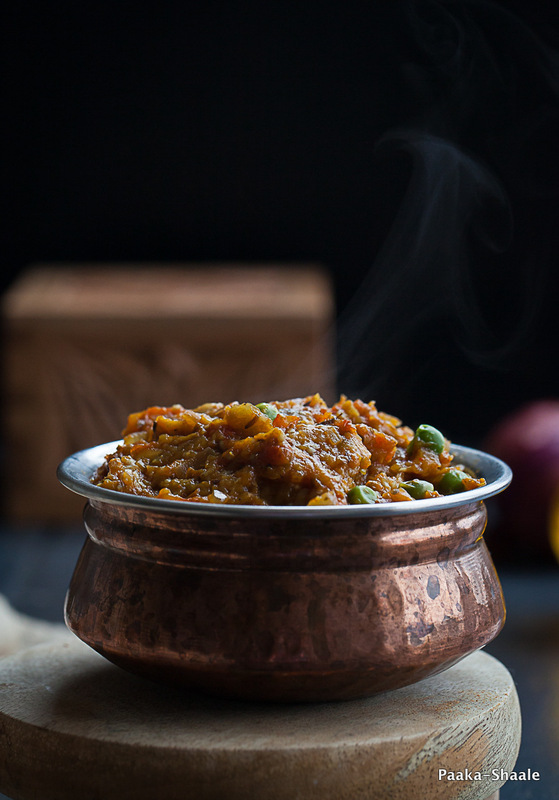 It was during a get together at a friend's place that I actually tasted baingan ka bharta for the first time. My friend had made this curry as an accompaniment for rotis and I saw the others eating this "mishmash" of a curry with great gusto. "Can it really be that good?" I wondered. I decided to take the plunge and taste the curry. After all, half a tea spoon wouldn't do a lot of harm. I braced my self and tasted a small tea spoon of the bharta and the rest as they say is history. It was love at first bite. 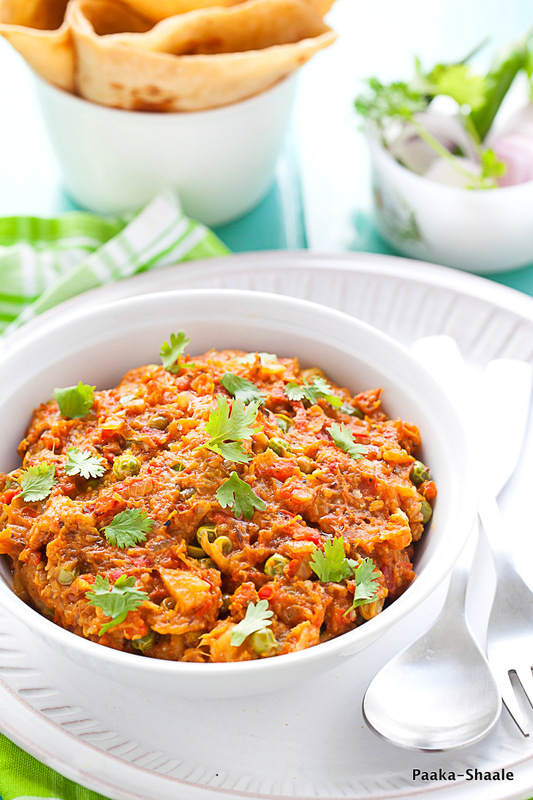 Baingan Ka Bharta is typically a North Indian Dish. 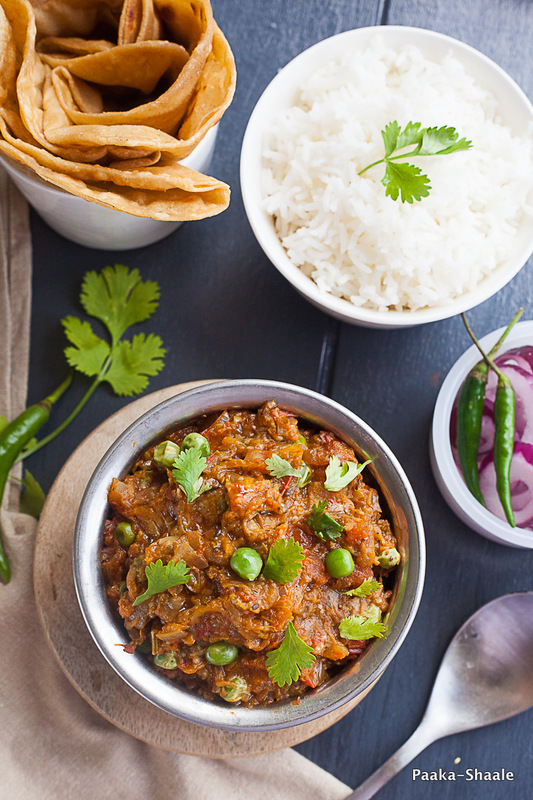 Baingan which literally means aubergine and Bharta means mash. It is a simple recipe with ingredients that are readily found in the pantry. But what really draws me to this dish is the bold and rustic taste that it imparts. 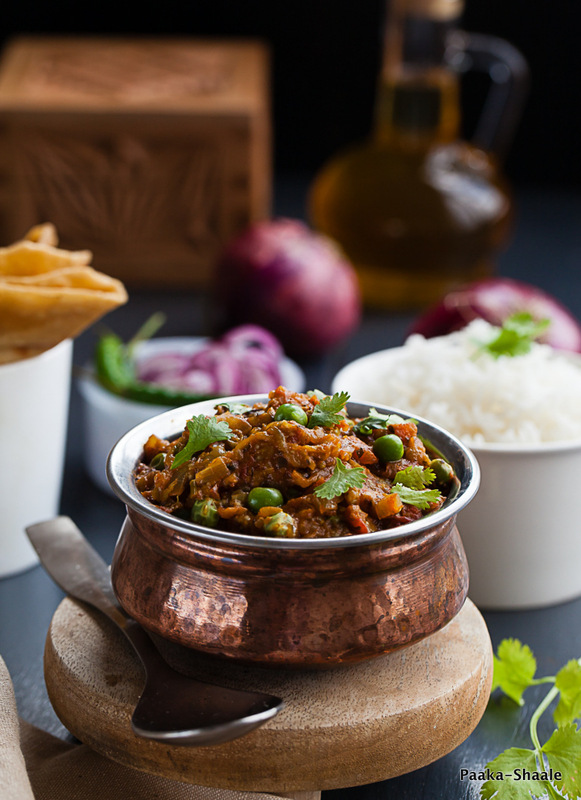 There is something about that earthy aroma that makes your mouth water whilst preparing the dish. 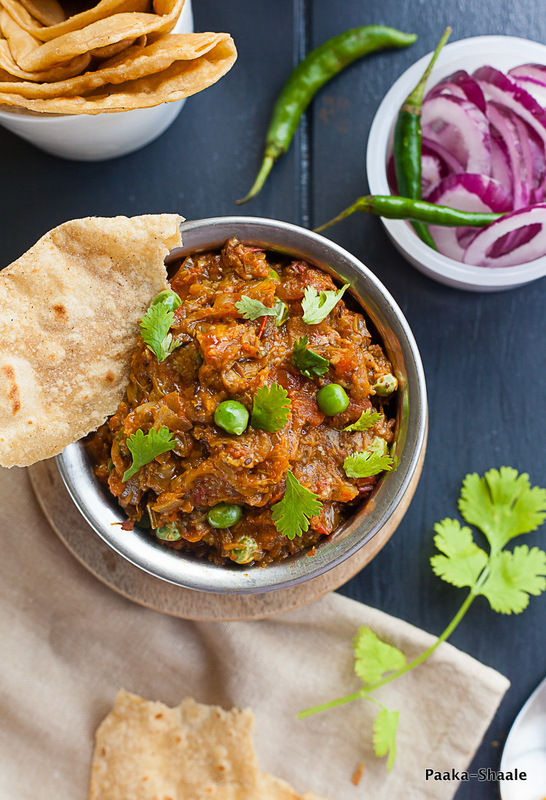 This Punjabi dish makes a great accompaniment to both rice and rotis. Yes, the roasting of the egg plants is a little time consuming and messy but then this scrumptious dish is worth every bit of all the time and mess it can create. 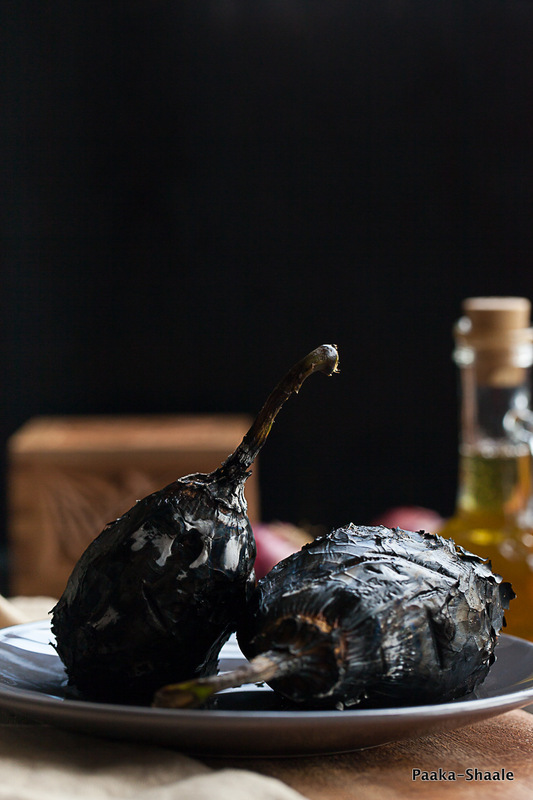 Smear some oil on the aubergines and roast it on an open flame till they turn completely black and are cooked through. Once roasted, take off the heat and set aside to cool. Peel the skin once they are cool. Cut the stem and mash the cooked aubergine thoroughly and keep aside. Heat ghee in a thick bottomed pan and add the cumin seeds. Once they crackle, add the chopped onion, green chili and fry for a min. Add the ginger-garlic paste and saute till the raw smell is subsided. Stir in the peas and the chopped tomatoes and fry for a few seconds. Add the turmeric, salt, red chili powder, sugar, coriander-cumin powder and fry for a minute more and cook cover for 2-3minutes or till the oil separates. Add the mashed aubergines and Garam masala and mix well. 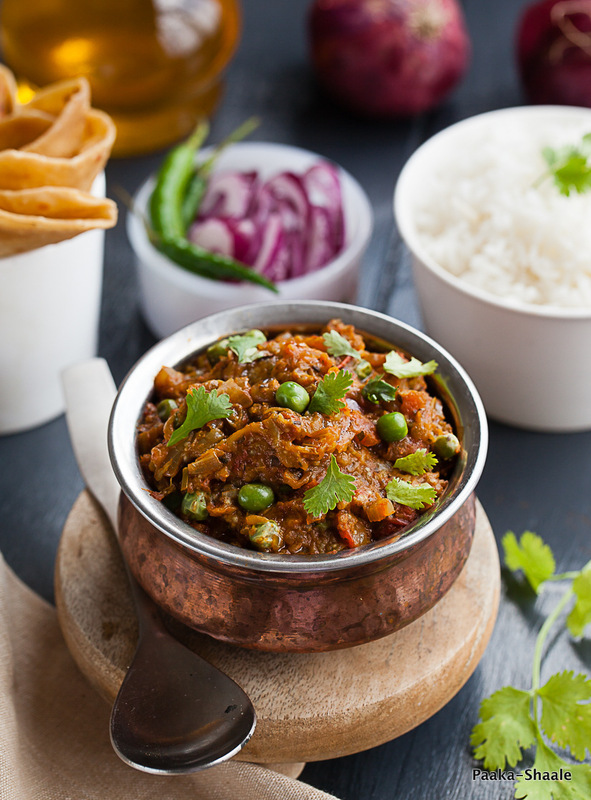 Garnish with coriander leaves and serve hot with rice or rotis. The peas are an optional ingredient. You can omit them if don't want them in your bharta. You can roast the aubergines in the oven. But the egg plant will not have the distinct smoky flavor in it. 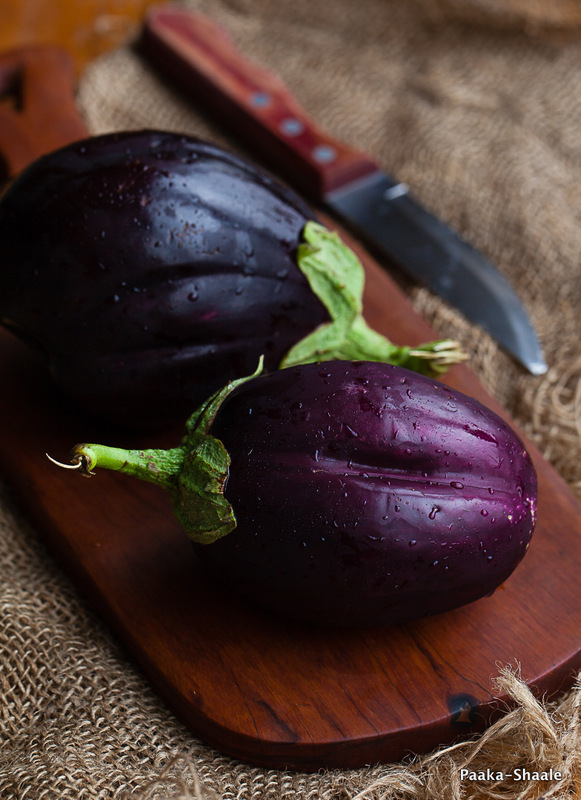 For this recipe choose eggplants that are large with a smooth surface. For they are likely to have fewer seeds in them. 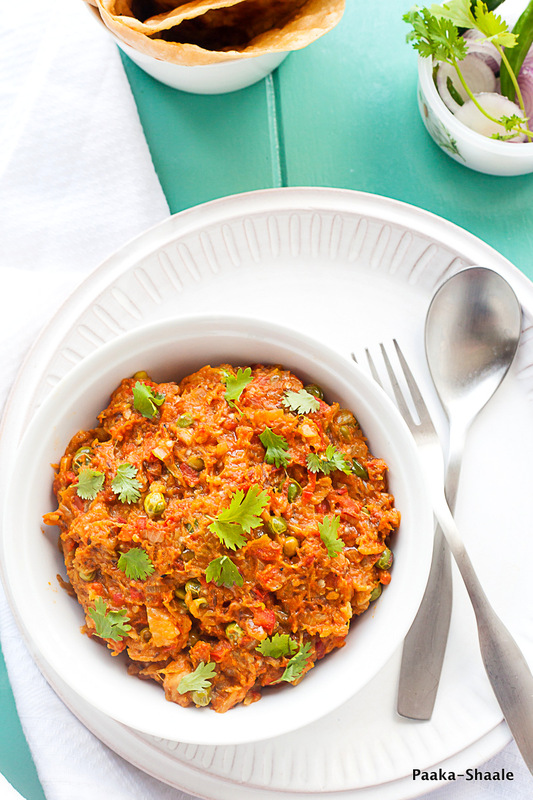 For a vegan version, the ghee can be replaced with mustard oil or any other oil. Beautiful clicks as always Nandita. and that baingan ka bharta is an eternal classic. loved by all. Your pictures are just stunning! I especially love your authentic serving dishes. Beautiful. This looks divine. I love eggplant!